The other day, I wrote about how an understanding of vulnerability and empathy are the underpinnings of building the empathic classroom. However, understanding these concepts and then cultivating them in your own classroom are two different things. So what are some simple steps you can take to cultivate vulnerability and empathy in your classroom? 1. Build vulnerability into your classroom routines, procedures, and protocols. This past year, I taught a unit on values, specifically within the context of the American Revolution. The ultimate goal of the unit was for students understand how values and beliefs affect the decisions people make every day. Naturally, by taking others’ perspectives and analyzing values and beliefs, this unit in and of itself was helping to cultivate empathy and appeal to the social-emotional side of children. 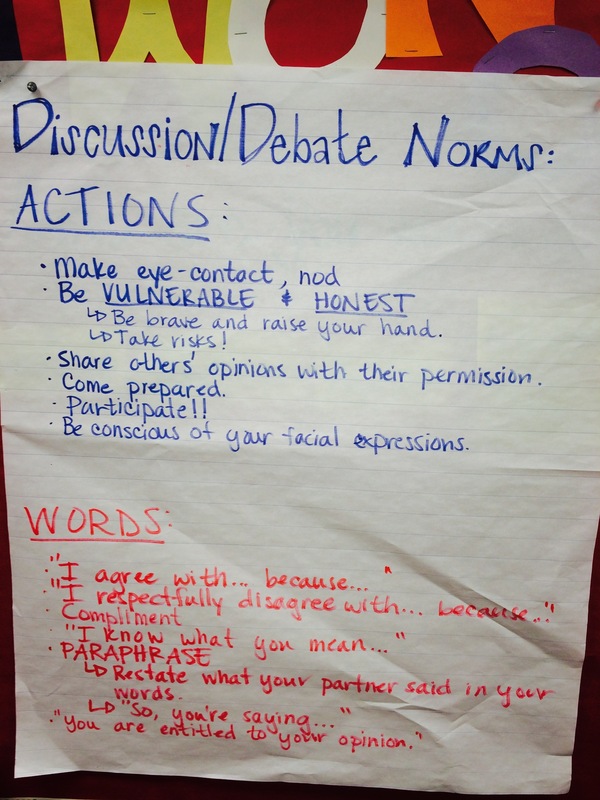 However, what’s more important are the norms for discussion and debate that we put in place to ensure that all voices were heard and that all students felt safe in the classroom. One of these norms was about vulnerability. We specifically discussed what it meant to be vulnerable, the risks of doing so, and the positive effects. While we built this norm in the values unit, it stayed with us through the end of the year, greatly increasing the quality of our discussions and the closeness of our community. 2. Encourage divergent thinking and actively reinforce and build upon risk-taking and mistake-making. In the average mainstream classroom, there’s nothing worse than being wrong. Silence fills the room when the teacher says “that’s incorrect,” and he or she moves on to the next student. But then, of course, if you have a good teacher, he or she will thank you for trying, but still move on to the next student. In an classroom that cultivates vulnerability and empathy, however, instead of simply calling on students, the teacher allows children to discuss the answers to questions in groups (a la “turn and talk”), and when it comes time to share out as a whole class, the teacher actively probes into children’s thought processes after they’ve given an answer, no matter if it is correct or not. He or she also calls on the community of learners to analyze, debate, and advocate for the “correct” or “best” answer. By doing so, the empathic teacher is implicitly modeling empathy and valuing the vulnerability of students, without discussing it directly. It becomes a part of the classroom culture and all students begin to feel valued, heard, and safe. 3. Practice vulnerability in your interactions with students. It is often times said that a community is greater than the sum of its parts. However, this community cannot be created without a relationship, and a relationship cannot be created without vulnerability. Therefore, it is important to practice vulnerability with your students. Your students need to see that you are a learner, just like them, with interests and passions that differ from theirs. They also need to see you actively engage in the learning process. They need to see you making mistakes and problem solving. Moreover, they need to see that you are not all-knowing and because of that, you are always going to be learning alongside them. Doing these three things helps to level the playing field for students, making them equal partners in the classroom community. Give it a try and see how it works for you!